For those interested in the economics and policies behind trade secrets, PricewaterhouseCoopers and The Center for Responsible Enterprise & Trade (CREATe.org) have issued a detailed report on the economic impact of trade secret theft, including a suggested approach to protecting trade secrets (i.e., a trade secret audit). a look forward 10-15 years in the future to consider what forces and drivers may make trade secrets more or less secure. 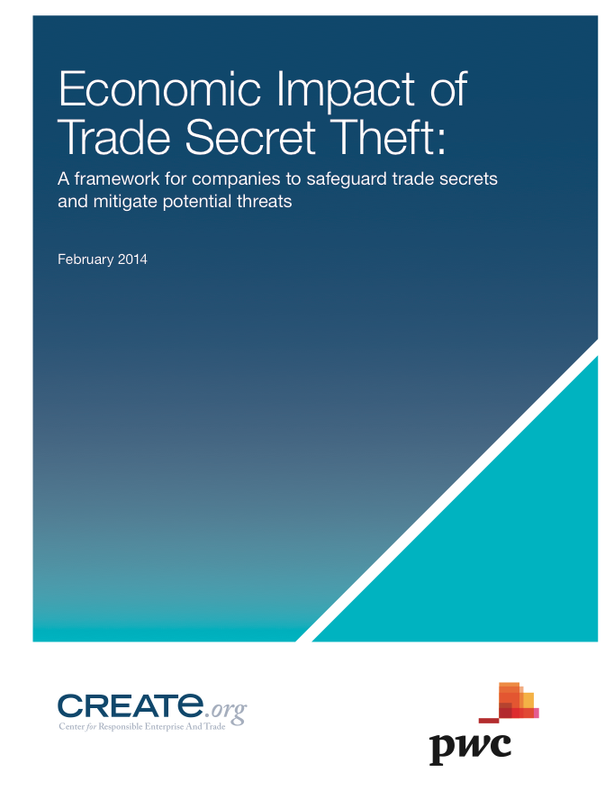 Noting that “current and former employees [are] one of the greatest cyber security threats” to trade secrets, the report provides a sense of the magnitude of the problem: “Estimates of trade secret theft range from one to three percent of the Gross Domestic Product (‘GDP’) of the United States and other advanced industrial economies.” That estimate equates to an impact of $171 billion to $513 billion in just the United States. The report adds to the increasingly-alarming body of reports and studies highlighting the need for improved measures and vigilance in the protection of trade secrets.